Hermetic doors are developed to suit for the places with high hermetic requirements. Ningbo GDoor GH10A hermetic sliding door uses a special designed rail with a self-lubricated rubber to attach to the bottom of the door leaf. During the opening and closing process, the door compresses the rubber to the frame so as to accomplish the hermetic effect. Aluminum alloy frame and painting panels consist the hermetic door leafs. Observing windows are available. PSA panel can adjust 37 parameters and detect the operating status. Any error code will be displayed through the PSA. Ningbo GDoor automatic door establishes the self learning process and calculates the optimum opening and closing speed to ensure optimized operating status of the door. 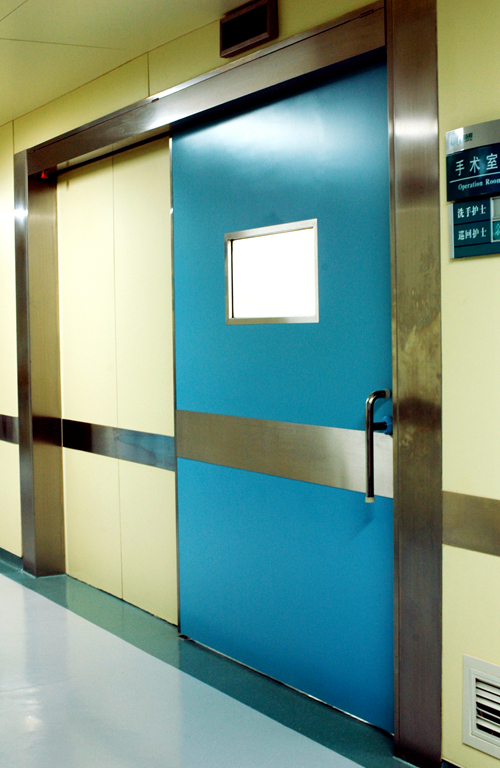 Ningbo GDoor hermetic doors can achieve access control to reach highest security of the door and the building.